Having a printer at home or in the office is an absolute necessity if you don’t want to run to the library or to a professional printing and copying service every time you need printouts. The HP Laserjet Pro P1606DN is a monochrome laser printer that can print duplex single sheets or mass printouts if you need them. With a print speed of 26 pages per minute, you won’t be wasting time waiting for the printer to spit out your pages. The quality of the pages is also decent for the basic job the system needs to do. Both the horizontal and vertical optical resolution is 600 dpi. This HP P1606DN laser printer requires CE278A laser toner cartridge. The maximum supported paper size is legal papers. It connects to a computer using the USB plug. It is also possible to use on a small home or office network using the included Ethernet connectivity port. You may need to purchase an Ethernet cable and an extra CE278A toner cartridge for this laser printer since the starter HP toner cartridge for P1606nDN could only prints approximately 500 pages, so that you have everything that you need without making additional trips to the store. Another advantage the printer has, besides being print duplex pages. It works on systems running Windows XP or newer including Windows Vista and Windows 7. It is also compatible with Apple computers that run OS X 10.5.x or OS X 10.6.x, so you never need to worry about compatibility concerns on your network. 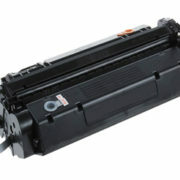 A printer cannot operate properly without the appropriate toner cartridge. 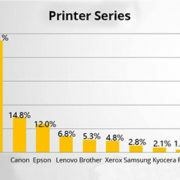 The printer itself is the initial investment you’ll need to make, but the ink that you use is a reoccurring expense. How often you need to purchase a toner cartridge for your HP printer, such as the CE278A laser cartridge, depends on how often and how much material you print out. You may find yourself looking for the best deal every few months or less than once a year. You may also find that it is more beneficial to purchase them in bulk if you find your needs require replacing the cartridge more frequently than you originally expected. The weight of the printer without taking into account the weight of a generic toner cartridge, P1606DN toner cartridge CE278A is 15.4 pounds. Its overall dimensions are 9.7 inches tall, 15.2 inches wide and 11.2 inches deep. 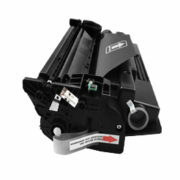 It uses the latest cartridge technology that makes it capable to print duplex page in a small printer. If you are a small business owner, you won’t regret if you have this fast speed duplex print laser printer.